Now, for the guide of Adelaide Central Market, all butchers are covered. 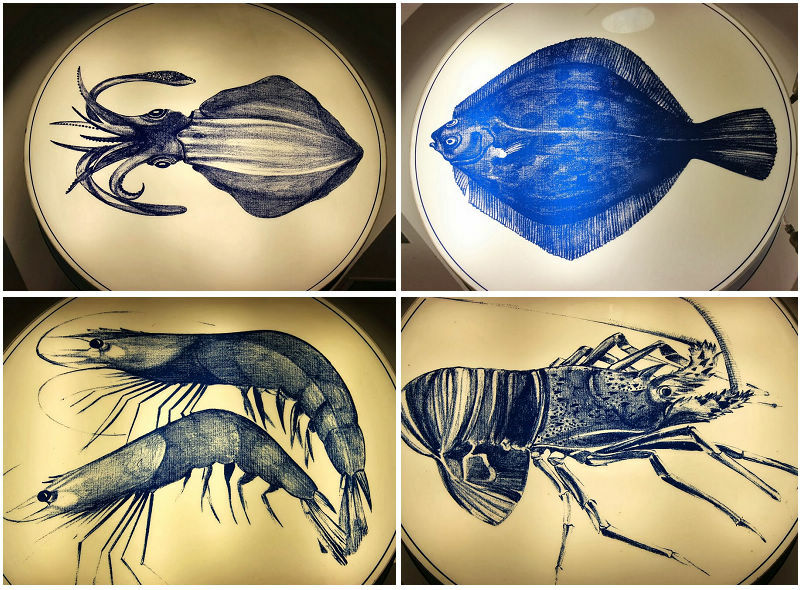 The next on the plate is about seafood. 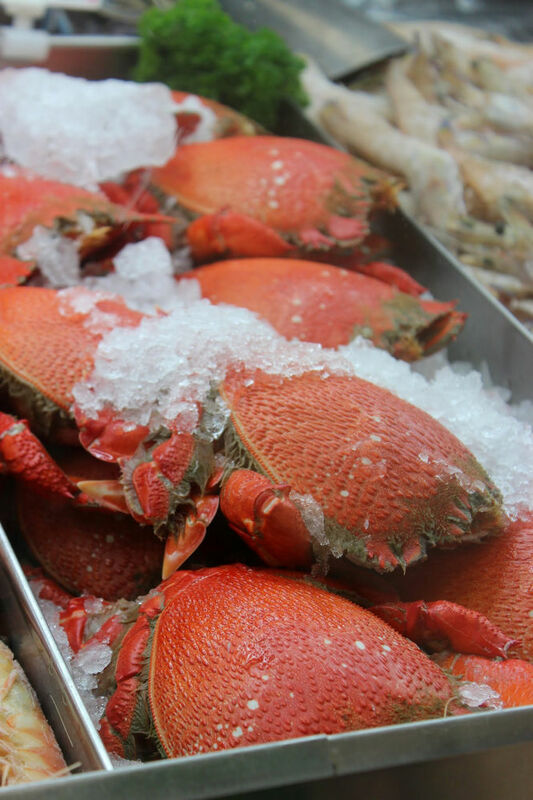 A good market is never complete without some beautiful seafood, isn’t it? 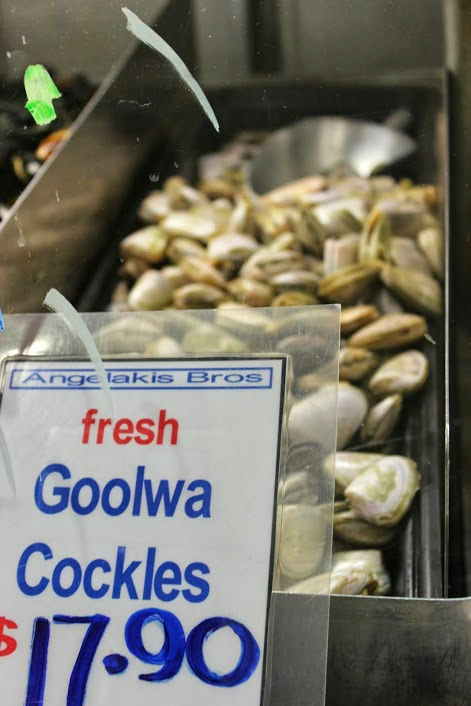 Adelaide Central Market has got 3 good seafood shops. 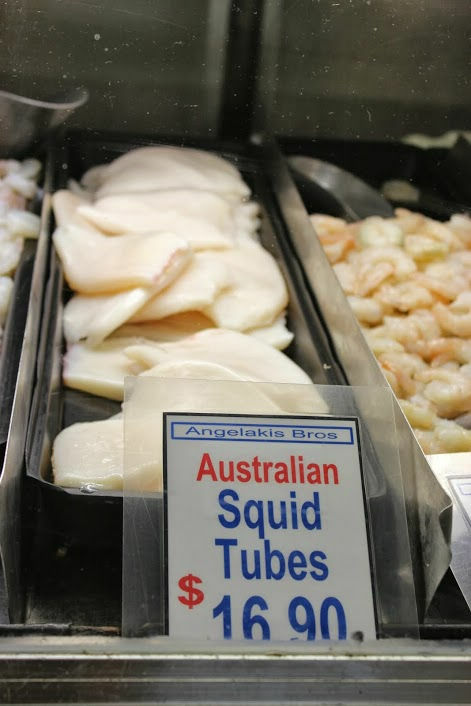 Although this is no where near Sydney Fish Market, the prices and quality are definitely comparable. 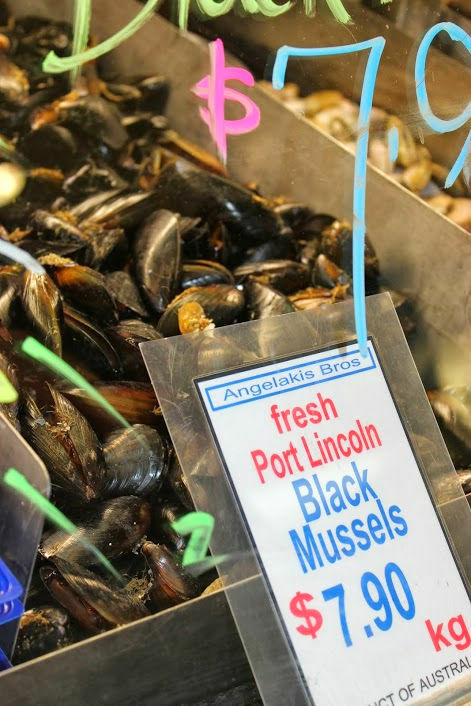 So, please join Joanne from whatsonthelist and myself to explore the seafood places in Adelaide’s wonderful Central Market, a true foodie’s heaven. When entering from the Grote street, market goers normally can find a seafood shop next to the main entrance. Yes, this is one of the three seafood places, Cappo seafood. 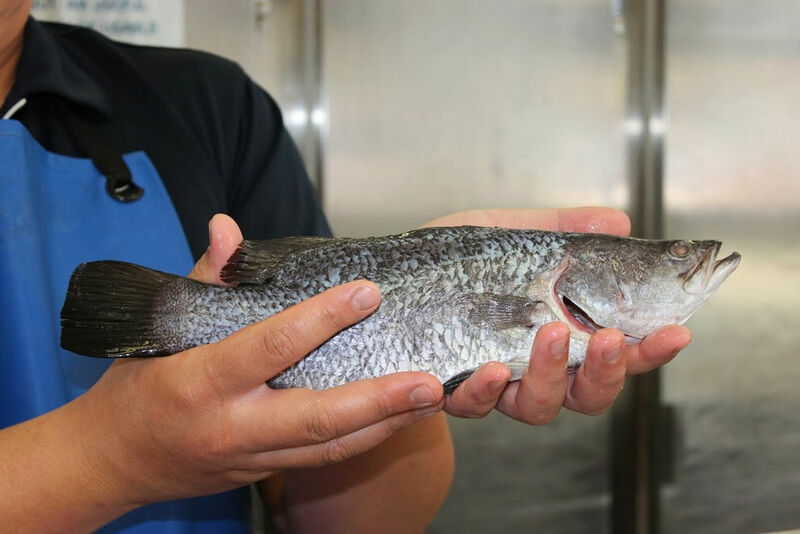 As a third generation family managed business, Cappo seafood now has three stores across South Australia. Their factory outlet at Parkside and this store at the central market are my most visited ones. Last year, they opened a store in Pasadena which opens 7 days as well as their factory outlet. The central market store of Cappo has been in business for 18 years. 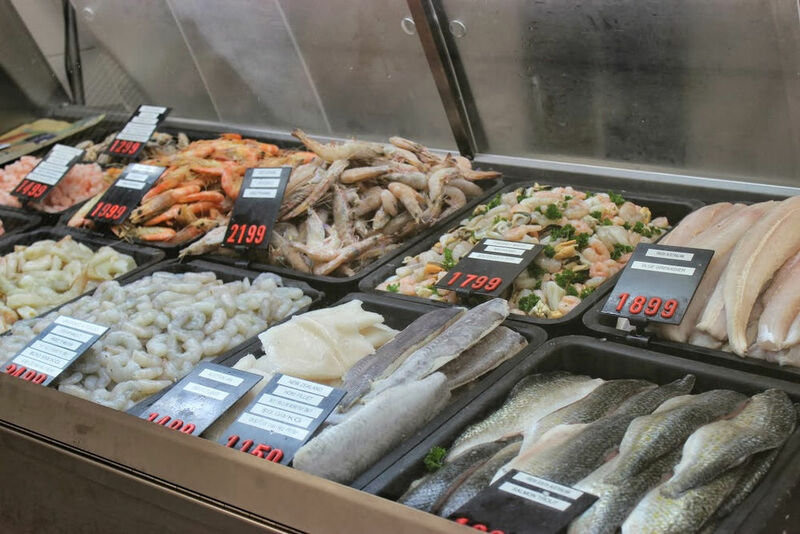 The store manager shared that the processing of their fresh seafood normally start early in the morning around 6 am with deliveries to Adelaide CBD the same day (if ordered by 10 a.m.) and deliveries to Adelaide metro areas (also the same day) if ordered by 4 a.m.
Cappo seafood prides itself for their daily fresh seafood, competitive prices and qualities. 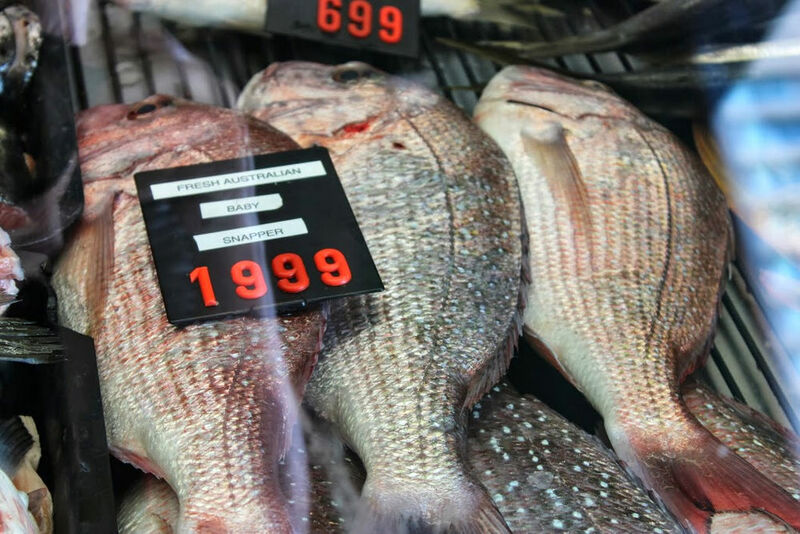 Fresh South Australian Baby Snapper is very popular at the moment in this Adelaide Central Markets store as well as their fresh South Australian Saltwater Rainbow Trout. 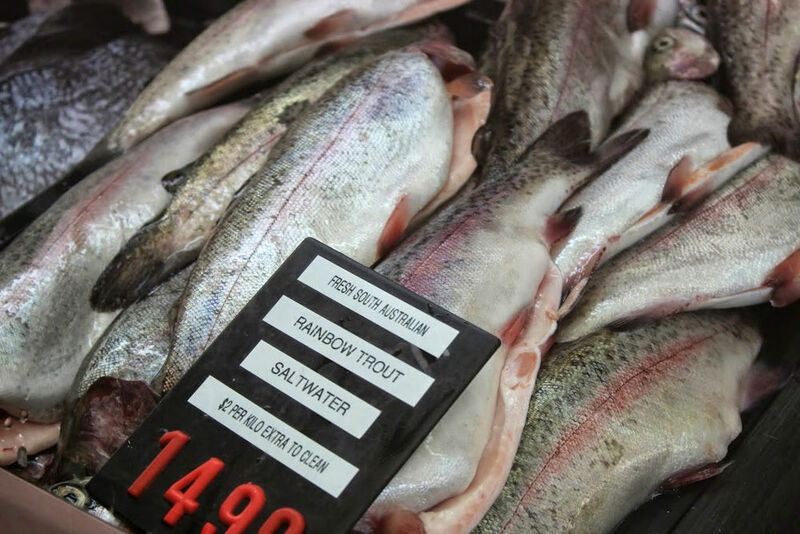 The central market store distribute 70% + South Australia produce and specialty products such as ribbon fish are sourced from Sydney and Melbourne. 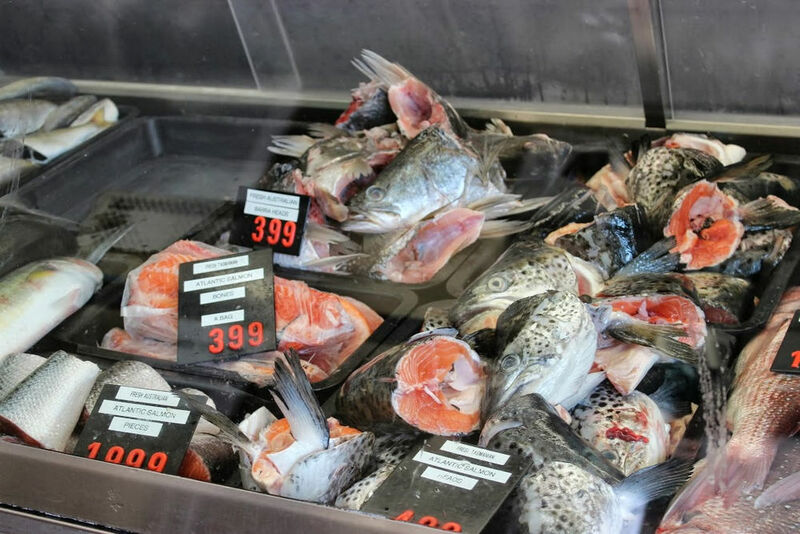 Apart from their normal seafood ranges, the store also stock several specialty products such as salmon head and carps, which are perfect for Asian dishes and are indeed popular among Asian customers. 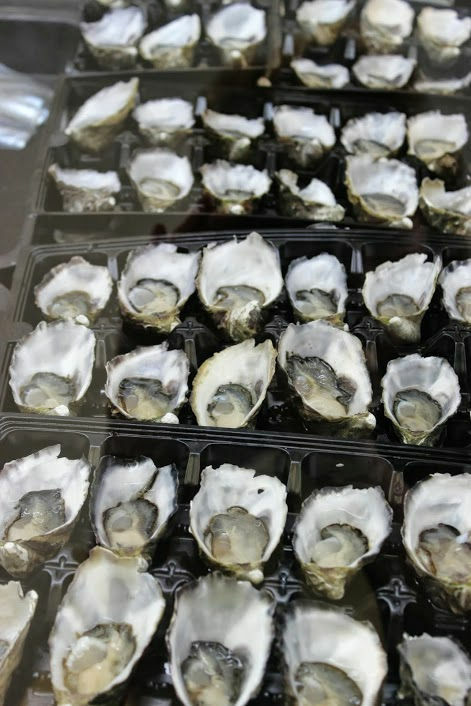 The store manager also specified that generally, coffin bay pacific oysters and baby baramundi are very popular too. These baby baramundi fishes are very good for steaming or baking and the store sometime has large saltwater baramundi too. 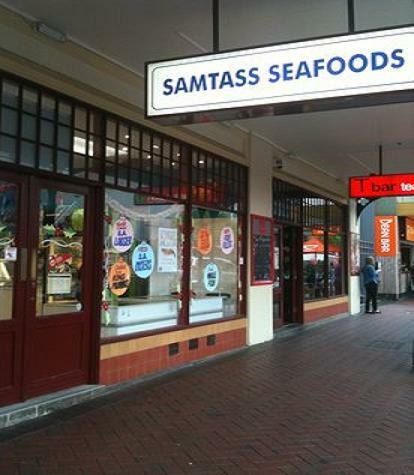 On the Gouger street entrance of the market, between T-bar and Marino Meat and Food Store, is located Samtass Seafoods. The business was established 60 years ago by the grandfathers (first generation) and the shop has operated in the market for 21 years. 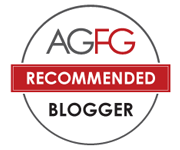 Now, as a 3rd generation family business, the business prides itself for their customer tailored services. The manager, Michelle shared that customers can come into the store and try different fish. 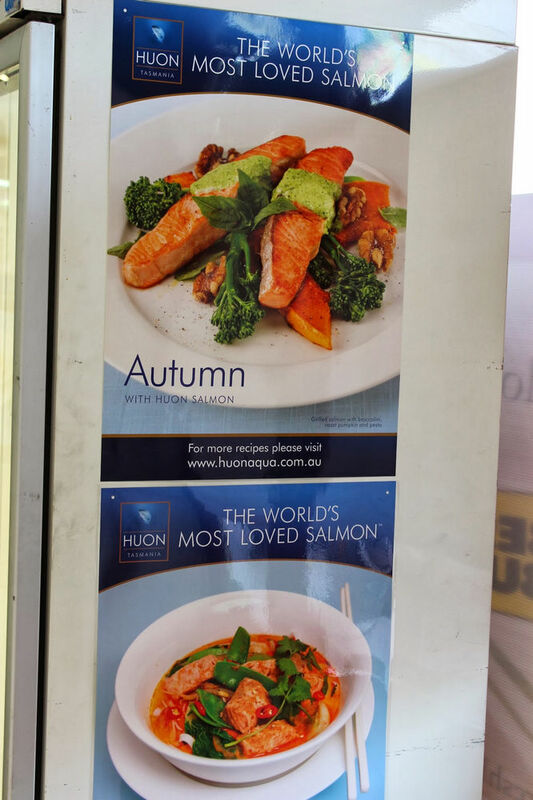 While at our conversation, Michelle also pointed that they stock full range of huon salmon from Tasmania with all varieties, including raw salmon with or without skins, smoked salmon, premium smoked salmon as well as salmon caviar. 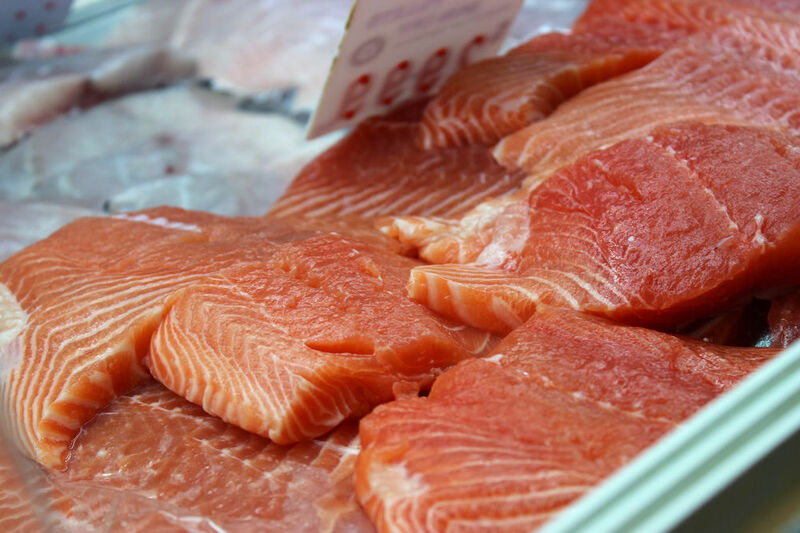 I personally buy heaps of salmon products from the store and they are perfect for a delicious sushi dinner. There are also seafood that will work for kids at the store. 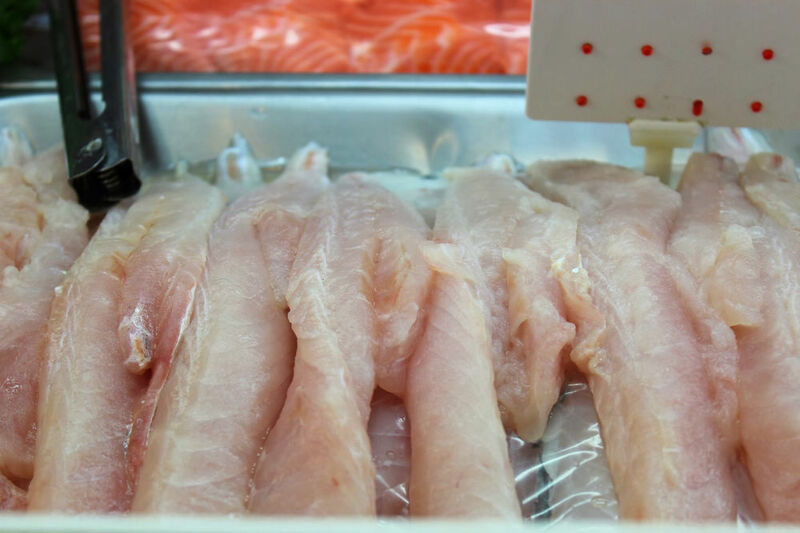 The flathead fillets are perfect to make fish and chips for kids. Samtass also stock a range of other seafoods such as lobsters, SA king prawns and Atlantic king crab claws. While we were there, we spotted some beautiful spanner crabs. I am a big fan of them and they are indeed delicious! The price of the spanner crabs at the store is quite affordable. You can read my previous tasting experience with spanner crab here. In a previous post, we’ve talked about the poultry part of the shop. Similarly, when you walk into their store, it is “BUZZING” with excitement with all their fantastic seafood produce painted and displayed! In the poultry part, the four birds are very obvious and made the store, to me, very pretty. 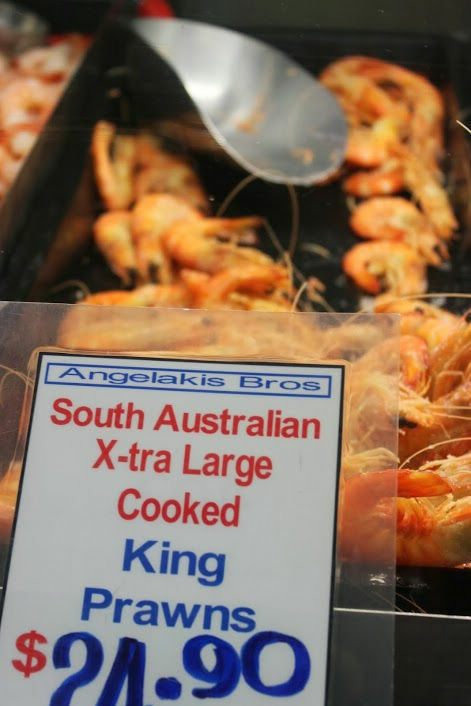 Angelakis Bros. has a reputation for “consistency and quality.” They also pride themselves in proving the best customer service in the Adelaide Central Market. 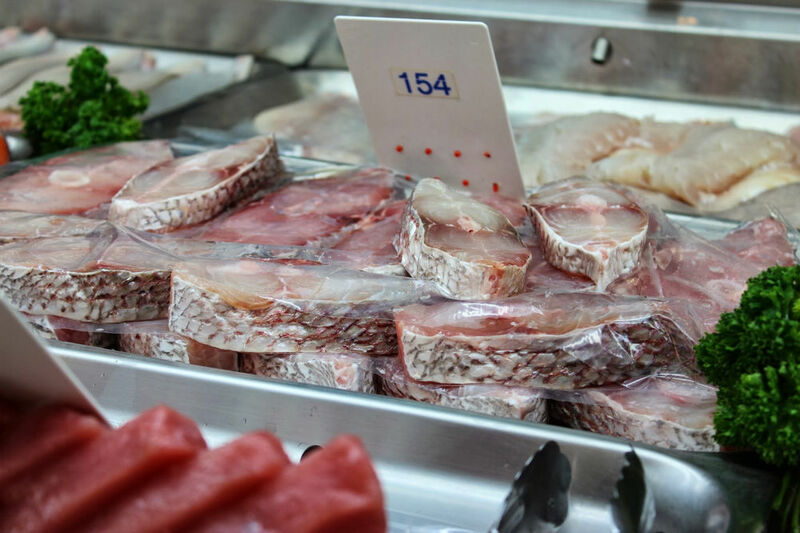 During our quick conversation, the store manager, Johnny shared that their customers also highly value their large variety of seafood, competitive price vs quality. 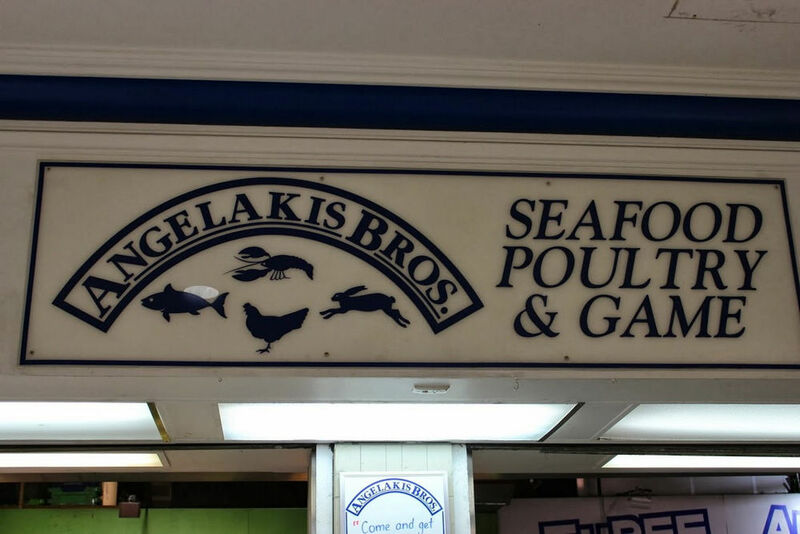 Angelakis Bros. also have stores in Burnside Village and Centro Colonnades. Angelakis Bros. “recognises that all businesses impact on the environment in a variety of different ways.” Their goal and objective is to not only protect the environment, but work with locals and legislation, customers and contractors alike in reducing or minimizing waste. 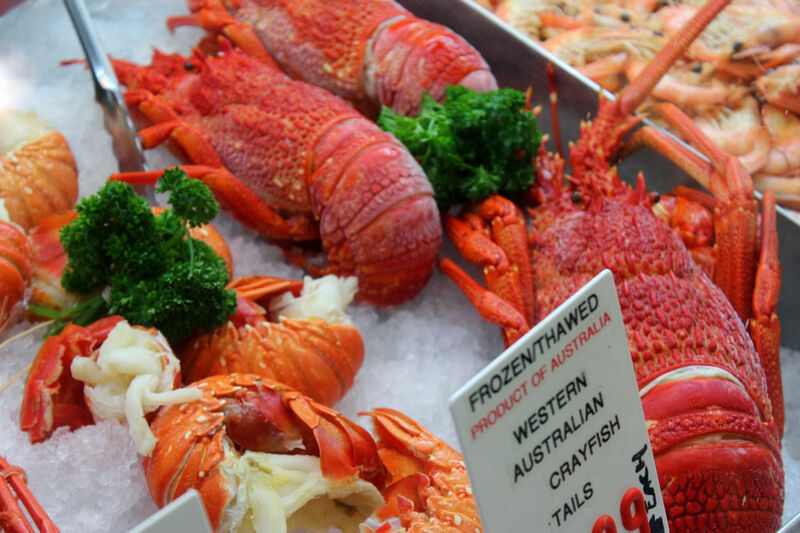 With most Australian produce, the store stocks 60% from South Australia and the rest are from WA/NT/QLD. The produce here are mainly fresh where possible. 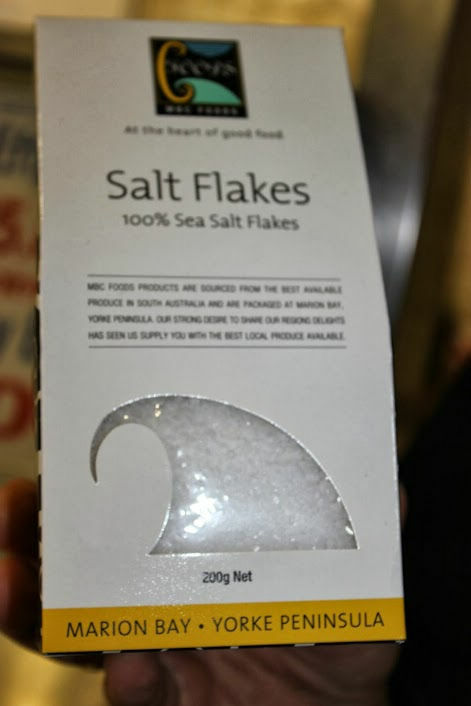 They stock our normal ranges of seafood as well as some specialties such as left eyed flounders, which is considered as a delicacy in Japan and China. Cleaned Baby Squid, fresh local squid, fresh Goolwa (South Australian) cockles, fresh Port Lincoln mussels, South Australian prawns, all wanted to JUMP out at me! Johnny also shared that their salmon and prawns are always quite popular. 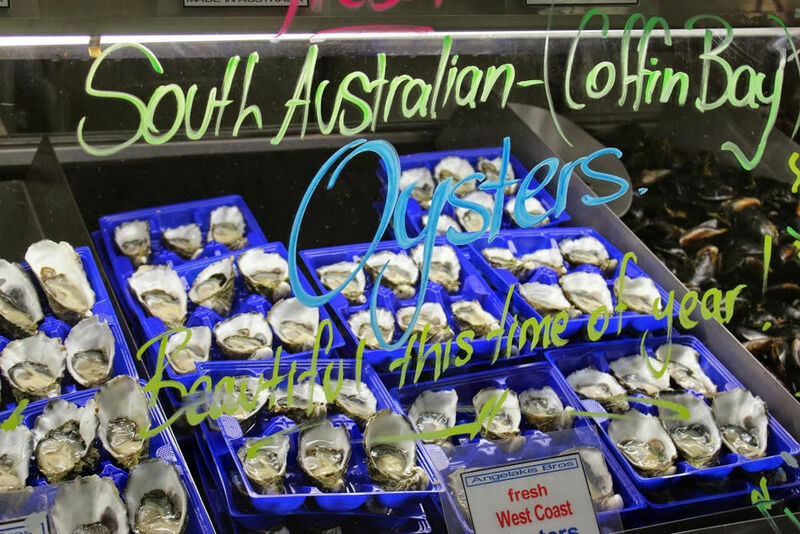 As a very proud South Aussie, who doesn’t want our world famous coffin bay pacific oysters!? So fresh and tasty! 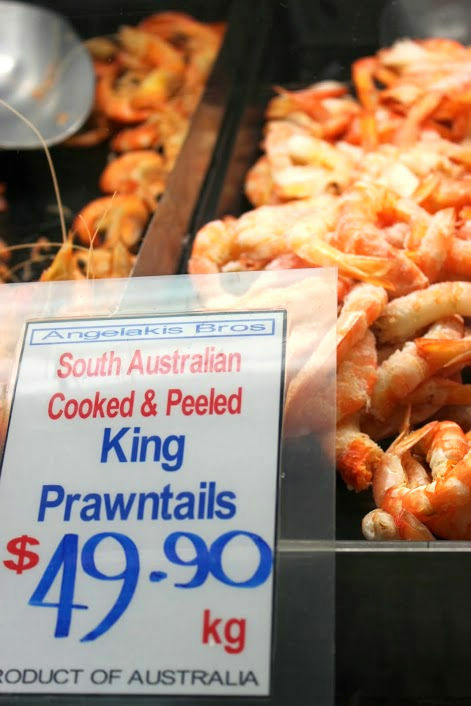 As a true foodie and a proud South Aussie, with Angelakis Bros seafood, poultry and game, who could want for any more? 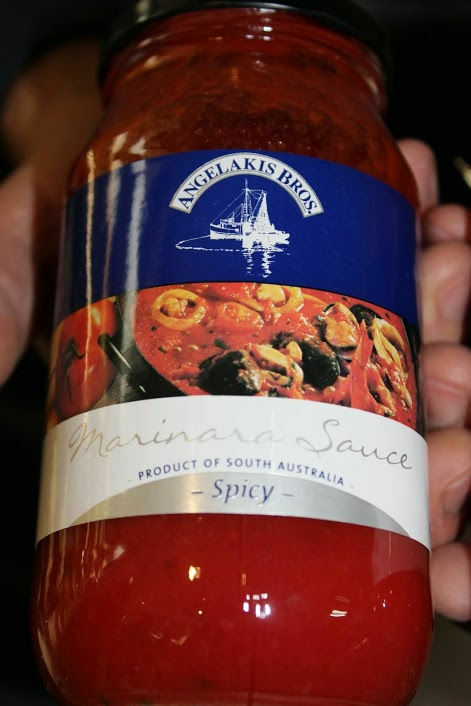 If you don’t have time to make your sauce from scratch, Johnny recommends Angelakis Bros. Spicy and Traditional Marinara Sauce and some good sea salt flakes!! Although my wife does not eat fish, we buy a lot of lobsters from Amgelakis. Very succulent and tasty! I am a regular for flounders at Angelakis. When in season, they are tastier than many other fish. I buy their flounders for sashimi or salt n pepper. The flesh is super tasty and tender! I normally just get them live in sea water/salt water overnight and then put in the microwave to cook for 3 -5 mins. It will be extraordinarily tender and tasty! Or, if you love chilli, stir fry them with dried chilli and they taste fabulous! Although I doubt I’ll ever be able to visit, I certainly enjoyed the interesting pix! Gosh, i’m afraid i can’t co ntrol myself to buy enought seafood over there…. the oyster is kinda pricey stuff here, about 5 USD for each…. Oh, is it that expensive for oysters? In restaurants or markets? here in Australia, you can find oysters selling at $5 each in restaurants. Angelakis Bros sold me something seriously rotten earlier this year. Never going back. 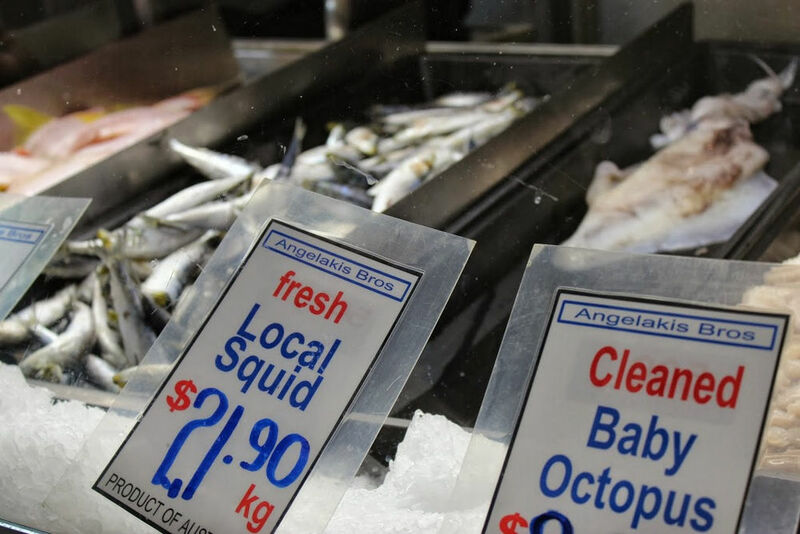 Adelaide central market is most popular for seafood as it has 3 good seafood shops that attract market goers by providing top customer service and fresh quality seafood products. They also offer a verity of seafood for kids at reasonable cost. Your post is greatest for me.I read you post and see the image of seafood market.it is really nice seafood markets for seafood online shops and directory. Thanking you sharing for useful news for seafood-Trade.. There is another fish merchant in the Market. I have been buying more from them lately. Will you cover them soon? It is on the Grote Street side.